Now seven of the birds have shown scientists they are able to retrieve an unreachable snack with a stick which first had to be obtained using another tool. In the journal Current Biology, researchers conclude that the birds' tool-use skills rival those seen among great apes, such as chimpanzees and gorillas. Moreover, the birds appeared to solve the problem with reasoning rather than brute force trial and error. This form of problem solving - analogical reasoning - requires the ability to see a novel situation as being essentially the same as a familiar one. Evidence suggests that, from the earliest human stone tools, analogical reasoning has been at the core of human innovation. This hallmark of human intelligence may also be at work in both the great apes and New Caledonian crows and may explain why - out of all the crow species in the world - only these crows routinely make and use tools. To explore the birds' brainpower, the scientists set up an experiment in which the crows were presented with a meat treat placed out of reach in a hole. Nearby were two identical "toolboxes". The front of each had bars through which the birds were able to insert their bills, but not their heads. A stick long enough to fish the meat from the hole was placed in one toolbox, but too far behind the bars for the crow to reach. The other toolbox contained a stone in the same position. In front of both boxes lay the solution - a stick too short to extract the meat, but capable of reaching the long stick. To obtain the treat, the crows first had to remove the long stick using the short stick. Then they had to transport the long stick a distance of almost two metres to the hole, dip it inside, and remove the food. All seven crows worked out how to equip themselves with the long stick and extract the meat. Three crows, named Icarus, Luigi and Gypsy, even succeeded at the very first attempt. By ignoring the stone, they showed they were not simply stumbling on the answer by trial and error. "It was surprising to find that these 'bird-brained' creatures performed at the same levels as the best performances by great apes on such a difficult problem," Professor Gray said. "Analogical reasoning works by noticing the similarities between an old problem and a novel one, so a thinker can behave accordingly in the new situation," Alex Taylor, also of the university, said. He added that such reasoning helped James Watson and Francis Crick work out the structure of DNA, one of the greatest advances in biology. "Previously Gavin Hunt and Russell Gray's work has shown that the crows had complex tool use. While this was suggestive of sophisticated cognition, it could also have been based on simpler learning mechanisms. "Our current paper shows that crows are capable of tool behaviour that is not based on simple learning," said Mr Taylor. " The most interesting aspect of our results is the insight into how the crows are smart. "As Darwin pointed out, there should be some characteristics of human intelligence shared between humans and their ancestors, and between animals that have experienced the same selection pressures. 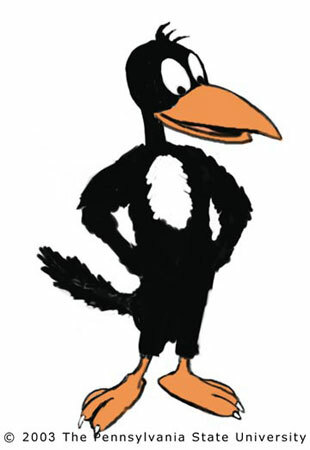 RELATED NOTE: ONE OF MY FAVOURITE CARTOONS GROWING UP WAS "HECKYL AND JECKYL"
"Corvids (crows) and apes both evolved around 5-10 million years ago during a period of great climatic and environmental variability and instability. We hope we have identified a stream of thought that runs in humans, apes and tool-using crows." Nice post on crows. Thanks.